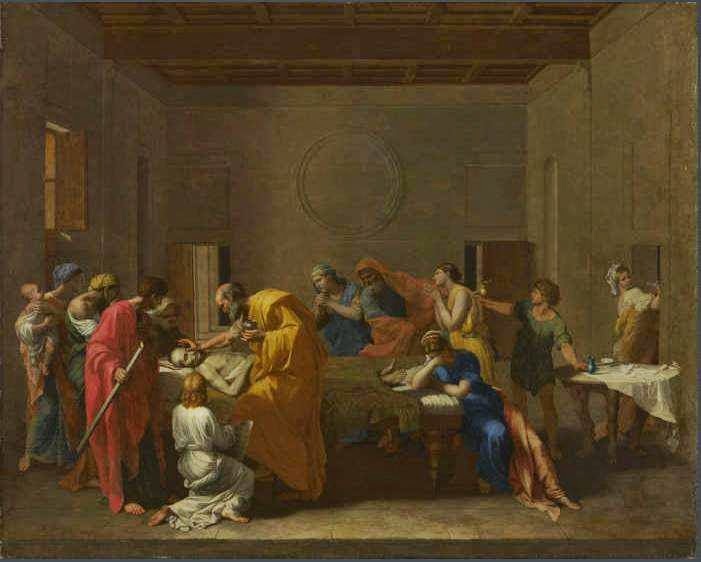 Catholics that rely on the sacraments to get them into Purgatory are greatly misusing those sacraments, even the last sacrament, the Anointing of the Sick. Yes, the sacraments are for our purification and strengthening, but we are then to use this strengthening to take the gift we are given in the Holy Eucharist to the world that never receives it. 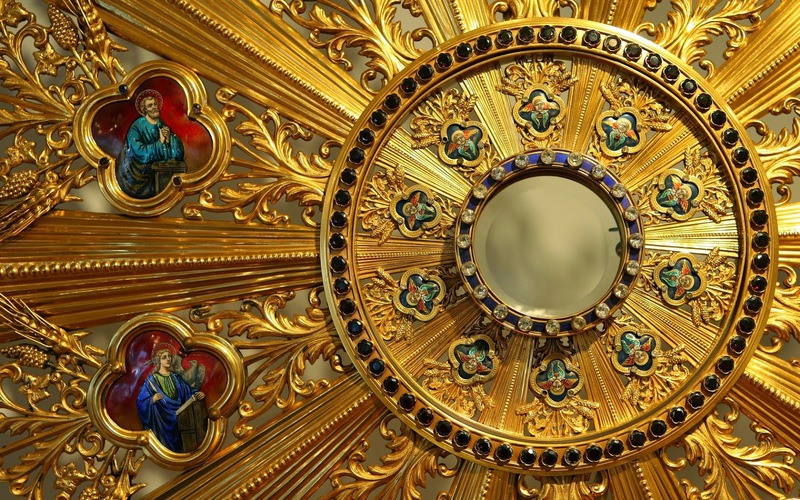 We become a walking talking Monstrance for the world. This is for all non- Catholics, former Catholics, Atheists, etc. One Catholic, had not practiced the Catholic faith very often, and had many sins. By God's grace a Catholic Priest came and gave this person Extreme Unction before death. God will always honor the hands of the Priest and the sacraments he administers, so by the power of God, through the sacrament, the persons sins where forgiven. However, because this person died soon after the sacrament was administered, there was not the opportunity for the person to repair the damaging affects of their sin. The damaging affects of the sin would be carried by those this person sinned against. God is perfect and just. He will use the burden carried by those who are affected by this persons sin for that person's purification and to lead them to heaven. So is it right that the person who died, leaving behind heavy burdens for others to carry, be allowed to come into heaven? It is totally at God's mercy and discretion, and by His justice, a soul might still enter heaven, but God will require us to pay every farthing. By His perfect justice the soul might need to undergo purification at God's discretion, ergo the flames of purification, Purgatory. "...two thirds of them will be cut off and perish, and one third will be left. I will bring the one third through the fire; I will refine them as one refines silver, and I will test them as one tests gold." Zechariah 13:8-9. The greatest mistake people make when they read scripture is to think that the Old Testament is in the past and no longer relevant. If Jesus came to fulfill the Old Testament, and He is eternal, then what is said in the Old Testament still testifies to truth, but a truth of eternity and heaven, so if it testifies of eternity, God is teaching us of our eternal destination. The second Catholic went to Church every Easter and Christmas and went to Confession once a year. There was no charity in this person's heart of anyone but themselves and the minimum requirement they thought they needed to do to get into Purgatory. Because this person does not use the gifts of the Sacraments to keep him from being worldly, this person skirts mortal sin, and eventually falls into it. This person is then deceived thinking they can wait till the Easter requirement for Confession. God sends many warnings to this person through people around him to repent, but if this person dies in their sin they will face eternal suffering. If they were able to receive the last Sacrament before death, God WILL honor the hands of the Priest and forgive this person's sin, but this person will be in the lowest part of Purgatory, suffering the same fires as those in Hell possibly till the end of time. Read the scripture above..."...two thirds of them will be cut off and perish, and one third will be left." This should put fear in all of our hearts... 2/3 will go to eternal punishment! “Enter through the narrow gate;for the gate is wide and the road broad that leads to destruction, and those who enter through it are many. How narrow the gate and constricted the road that leads to life. And those who find it are few." I tell you the truth: There are many souls in Purgatory, that without the grace of God given through the Anointing of the Sick before their death would be in eternal damnation now. We must not think our sin is small, but see that even the smallest sin can totally separate us from God as God's justice decides. If you think your sin is small, then you are constantly slapping God in the face as He is suffering on the Cross. If we truly love God we should fear ALL sin as hurting the one we love. If we slap someone and then say, "Oh, forgive me." the person may well forgive us, but if we slap them 10,000 times and say, "Oh forgive me. ", with no intention in our hearts to really stop slapping them, then we do not fully love the one to whom we are seeking forgiveness. Is Purgatory real? Yes. When we deny Purgatory we call Jesus a liar. " But whoever speaks against the Holy Spirit will not be forgiven in this world or the next." Matthew 12:32. There IS a place of purification as God deems to use it for souls that have not been perfected for heaven. 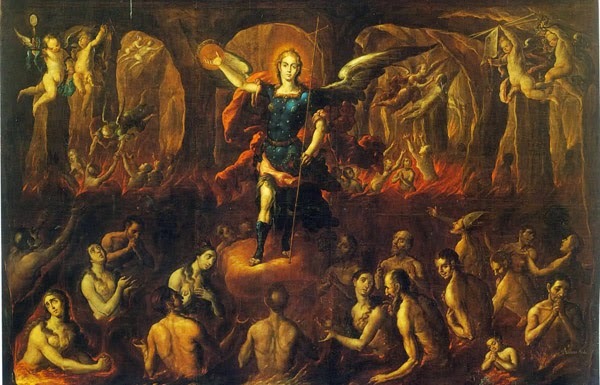 However, do not hope for Purgatory, but rather fear Hell and strive diligently by pouring your life out for others so that you may enter Heaven. This blog post was inspired by a Protestant Minister and is dedicated to him: Larry Conley.